Apple, more than any other company, draws rumors and speculation from the press. Over the years there have been hundreds of rumors about Apple, probably due to the company’s notoriously tight-lipped nature. Some of them, like rumors of the original iPhone, proved to be accurate. Others, like the ones I’ll look at here, proved to be utterly groundless. So let’s have a look at some of the silliest Apple rumors. What other rumor could I start with but the infamous iTV? This rumor, more than any other, haunted Apple for years before it was finally laid to rest last year. Since 2008 different “analysts” have been claiming Apple has been building a HDTV with a 55 inch (no 60 inch, no 80 inch) screen and all sorts of smart features. When Steve Jobs by Walter Isaccson (a must read for Apple fans iRead: 7 Books About Steve Jobs All Apple Fans Should Own iRead: 7 Books About Steve Jobs All Apple Fans Should Own We have selected the best books written about Steve Jobs and Apple. These seven tomes provide all the information on Jobs you'll need to know, and a lot more besides. Read More ) was released in 2011, it only fanned the flames. Jobs, a few months before he died, apparently confided to Isaccson that he’d “finally cracked” the secret to making an Apple HDTV that lived up to his standards. The rumors kept flaring up every few months until last year when Apple finally updated the Apple TV Apple TV 2015 Review Apple TV 2015 Review With competition from Google's Chromecast and Amazon’s FireTV reaching fever pitch, can Cupertino still hold its own in the battle for the space under your TV? Read More . Apple’s renewed support for their tiny set top box seems to lay the idea of them developing a full TV set to bed for the time being. Although technically part of the Apple TV rumor, this one was so good I felt it needed its own section. Back in 2013 when Apple HDTV rumors were in full swing, one rumor-monger predicted that rather than a regular remote, the iTV would use a touch sensitive ring. Supposedly, with the magic ring you would be able to control your iTV just with gestures. Nothing says “technology!” like the channel changing every time you reach for your drink. While Apple has gone on to make wearable tech Apple Watch Review & Giveaway Apple Watch Review & Giveaway The new Apple thing is finally out, but everyone was talking about the Apple Watch long before it was officially announced. 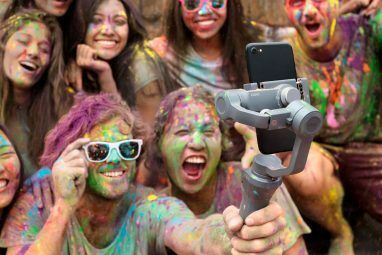 Starting at $349 - we take a look, and have TWO to give away! Read More , the magic ring seems like a terrible idea on every level. At best, it would have made watching the Lord of the Rings more fun. Remember Netbooks? The cheap, tiny, and underpowered laptops that were all the rage back in 2009? For a while leaks from Chinese suppliers suggested that Apple was getting in on the game. This is obviously because cheap and underpowered are two words commonly associated with Apple’s products. The rumors weren’t entirely wrong: early the following year Apple released the first generation iPad with a netbook-sized, 9.7 inch screen. In hindsight, Apple making a much larger iPhone makes a lot more sense than Apple making a low margin, discount PC competitor. Back in 2009, rumors reached fever pitch that Apple was going to introduce a smaller iPhone to be sold alongside the iPhone 4 at a lower price point. The vague idea had been around since shortly after the launch of the original iPhone. The logic seemed to be that Apple always releases a genre-defining product, then once the market is ready, it makes a smaller version. That’s what they did with the iPod after all. The iPhone Nano, as it was christened by the press, never materialised. And thank god for that. The original iPhone’s 3.5 inch screen was great at the time, but using iOS on a smaller screen would have been a miserable experience. Apple instead went the opposite direction a few years later with the iPhone 6 and the absolutely massive iPhone 6 Plus. Apple has always been very cautious with what companies they acquire, despite having billions lying around in spare cash. While other tech companies (ahem, Google) are happy to snap up start ups at will, Apple rarely does so. 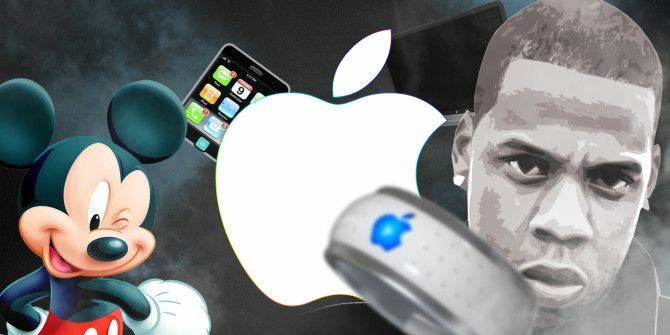 This hasn’t stopped rumors swirling of Apple being in talks to buy company X, Y, or Z — and here are some of the craziest. My personal favorite is the rumor that Apple was going to acquire Universal Music Group for $6 billion. This rumor, from back in the pre-iPhone world of 2003, actually caused Apple’s stock to drop 8 percent. While Apple has always been involved in the music business, buying a whole label was probably a bit much. Waiting 12 years and launching Apple Music Getting Started With Apple Music — What You Need to Know Getting Started With Apple Music — What You Need to Know After the purchase of Beats last year, Apple has finally unleashed its streaming music service upon the world. Read More seems to have been a much more solid strategy. Another so-silly-it-obviously-has-to-be-true rumor is that Apple is going to acquire Twitter. This one has been around for a while and everytime Twitter runs into a fresh bit of trouble Twitter Wants To Be Facebook, Selfies Really Can Kill You... [Tech News Digest] Twitter Wants To Be Facebook, Selfies Really Can Kill You... [Tech News Digest] Twitter desperately wants to be Facebook, how selfies kill more people than sharks, Microsoft fixes InPrivate Edge browsing, a collection of Windows 3.1 shareware, and how Star Wars: The Force Awakens should have ended. Read More it resurfaces. The assumption is that Apple, Google, Facebook, or an outsider like Amazon What Is GAFA? Why The EU Doesn't Love Large American Internet Companies What Is GAFA? Why The EU Doesn't Love Large American Internet Companies GAFA is an acronym for Google, Apple, Facebook, and Amazon — the 4 most powerful American technology companies. Expect to hear it more often. Read More has to buy the struggling social network. It might not make money but it’s got resources. It makes no real sense for Apple to buy Twitter, so we can safely write this one of for the foreseeable future. Apple has always been closely tied with the film industry — Steve Jobs founded Pixar after all — but the idea that Apple would buy Disney stretches credulity. Such an acquisition would be by far the biggest Apple ever considered. When the rumor came about, Apple had $151 billion in cash and Disney was valued at $143 billion. Even Steve Jobs, if he had lived, would struggle to make Apple blowing all its cash on a film studio seem like anything other than a CEO having a midlife crisis. If Apple couldn’t acquire Universal Music to get a record label, perhaps they should start their own with Jay-Z — one of the most successful acts of the last decade. Or at least that was the rumor going around in 2008. While this one makes a little more sense than some of the others on the list, it still didn’t come to pass. Jay-Z was supposedly going to be the first of a number of artists Apple signed to champion a direct to iTunes model. Nothing came of it, although Apple did get into bed with another popular hip hop artist, Dr Dre, when they bought Beats in 2014 Apple Finally Buys Beats, Microsoft Teases Skype Translator, Hidden Cash on Twitter [Tech News Digest] Apple Finally Buys Beats, Microsoft Teases Skype Translator, Hidden Cash on Twitter [Tech News Digest] Apple gets Beats; a promise of real time translations from Microsoft; Chrome turns into a walled garden; Billboard ranks songs on Twitter; Uber gears up for the future; Avast hacked; and a Twitter cash grab. Read More . What are Your Favorite Apple Rumors? So there are eight ridiculous Apple rumors. There are many more out there. Tim Cook can’t sneeze without someone bandying about the idea that Apple is developing an iTissue. The company seems to be a magnet for idiotic predictions. On the other hand, sometimes the media gets it right. 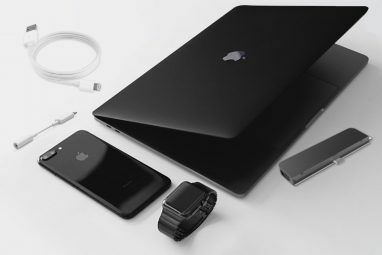 Most new Apple products suffer from a few leaked details in the months before they are released, and the more credible rumors are usually far more realistic. What are some of your favorite Apple rumors? Let us know in the comments. Explore more about: Apple, Apple TV, iPhone.